Mr. Bowman has over 30 years in the banking industry, with the majority of his career working in bank management and commercial lending positions. He specializes in helping small businesses, providing technical assistance that includes financial consulting, obtaining financing for projects and feasibility analysis. Mr. Bowman is currently President and CEO of Bay Bank, in Green Bay, Wisconsin a tribally owned bank with the Oneida Indian Tribe of Wisconsin. He is also active with several organizations that facilitate economic development and small business development. 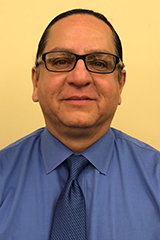 He specializes with assisting and capitalizing minority businesses, particularly Native American-owned small businesses.